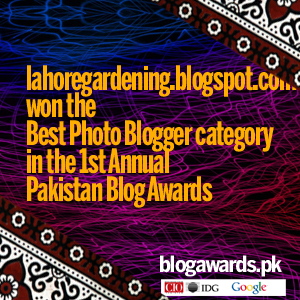 It is a pleasure to be part of Garden bloggers bloom day once again. Thanks to Carol at May Dreams Gardens for hosting this wonderful event every month. These are all thumbnail images and you can click on each one to view full image. 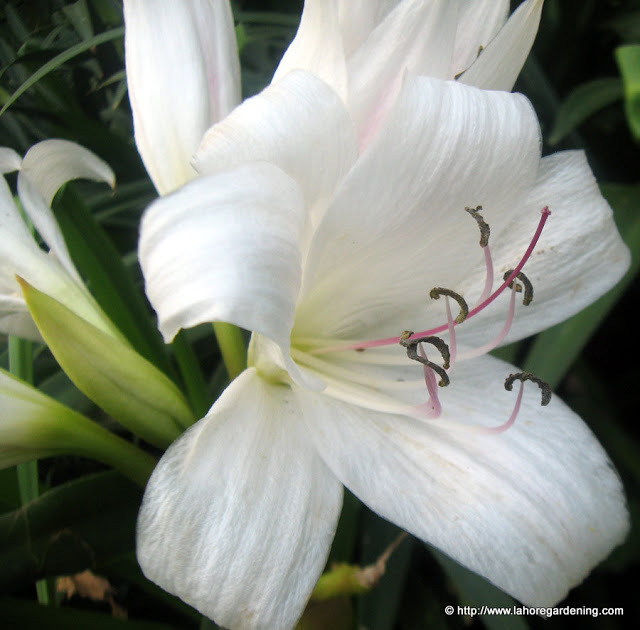 Today i am sharing with you flowers of Crinum, giant potato tree and spider lily. The first bloom, and because fragrance is my first preference, is crinum lily. They are growing wild in the Lawrence gardens. They bloom in july-October here in lahore. wonderful fragrance. 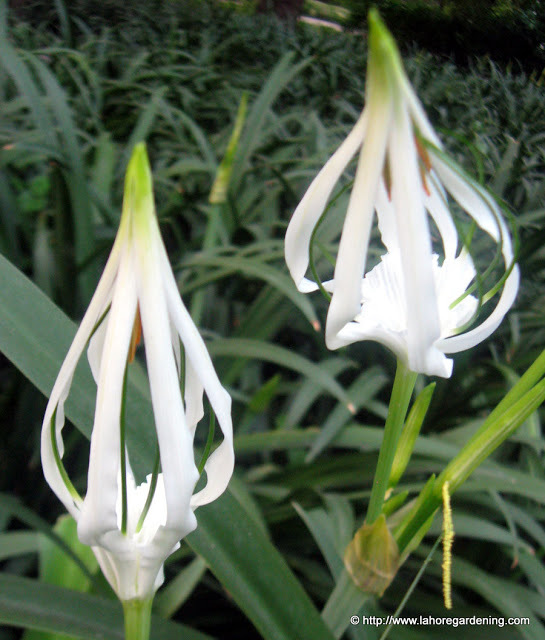 With botanical name crinum latifolium and common name milk and wine lily they are easiest of perennial bulbs to grow. Two colors are common. 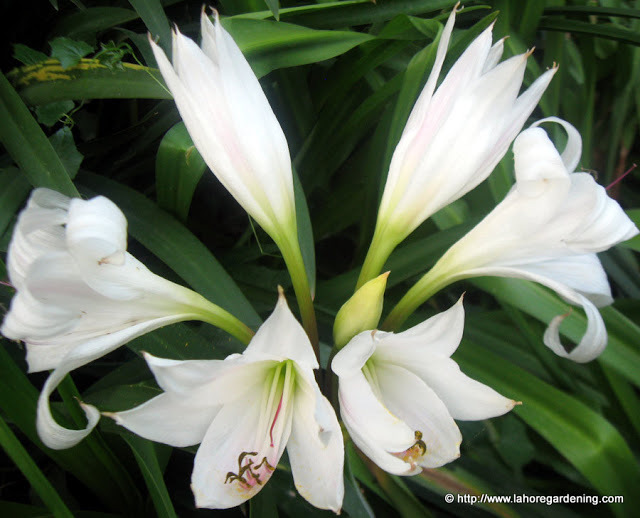 The white one below and there is another one bicolor, pink and white crinum. Another crinum having very interesting buds is Crinum asiaticum with common names spider lily, grand crinum lily. It has the largest bulbs i have ever seen. the fragrance is not very sweet and flowers not very showy but buds are worth capturing. This is some unknown flower to me blooming profusely in lawrence gardens lahore. any help with the ID will be appreciated. This is giant potato tree with botanical name Solanum macranthum . 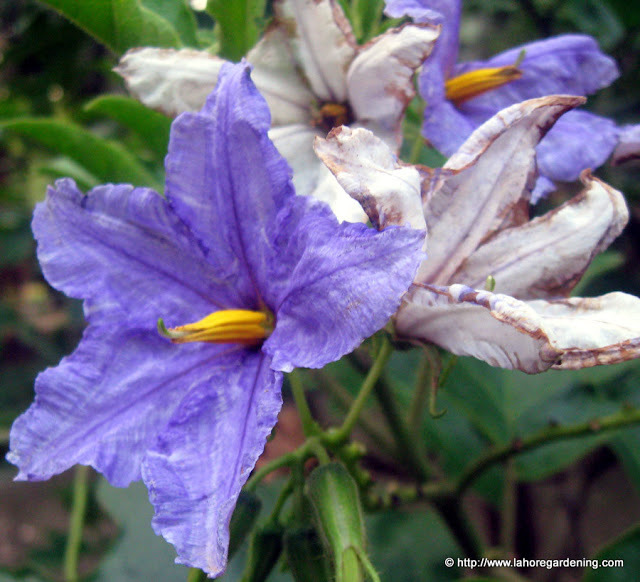 Like many other solanum plants, the color of flower changes and you will find many colors blooms on same plant at once. Flowers are very mildly fragrant. A close relative is Solanum seaforthianum with common name italian jasmine, more fragrant than this one, and which i intend to grow from seed very soon. 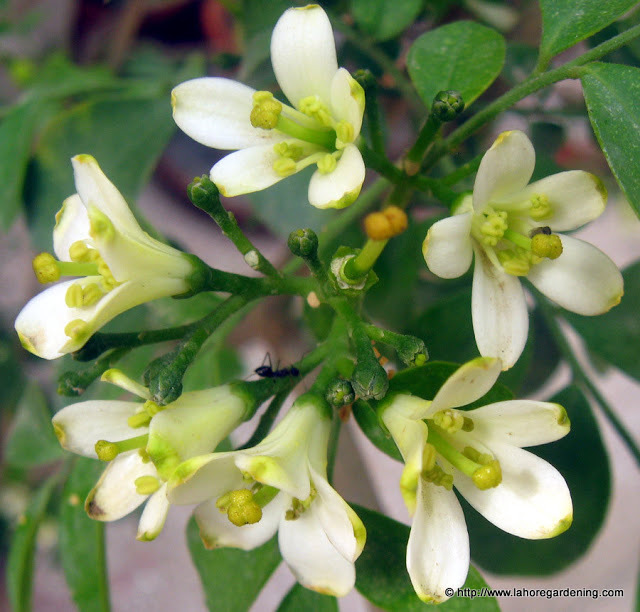 And last but not least, here comes murraya exotica orange jasmine. The fragrance is divine and unbeatable. Blooming on my terrace in a large clay pot. They bloom extensively in monsoon rains. Your blooms are large and luscious – our climates are very diferent! I’ll echo the previous comment. Glad you reminded us that plants can be showy for seeds or buds, too – not just flowers. I never saw the buds before on the spider lily and they brought a smile. How observant to capture the spider lily in mid bloom for us. I have smelled the murraya exotica and am in love. Saw a specimen in Fort Worth (Texas, USA) Botanical Gardens. Must see if I can get one for my garden – the scent is magnificent. Lovely but unusual plants for me. Thanks for sharing. thanks for sharing your blooms today. Oh, I LOVE that spider lily in bud!!! I would never have thought that it was so elegant and exotic-looking in that state. P.S. 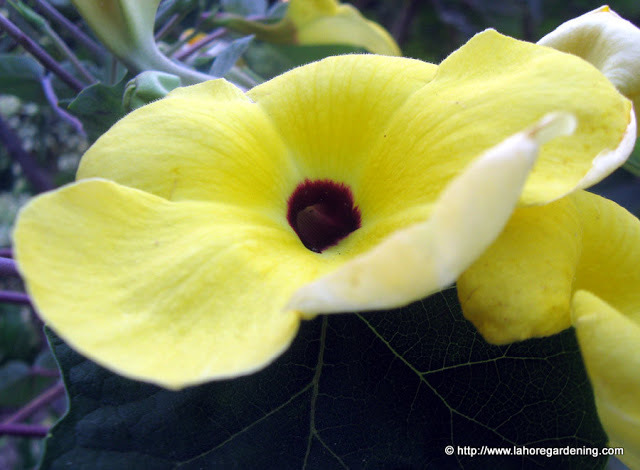 Could your mystery flower be a thunbergia? Also known as black-eyed-susan vine? That Crinum asiaticum is very interesting. Never saw it before. The potato tree flowers are great too. I like solanum flowers alot, with the eggplant and nicotiana being my favorite. Love that bud! Reminds me of what we call Peruvian Daffodil here. Wish I could grow crinums! It’s just too cold here for them though. They’re mostly hardy to zone 7 and warmer. I’d do them in pots but they’re not happy there. They don’t bloom when I plant in the spring and lift in the fall either, because they don’t like to be moved. I think they’re gorgeous! What amazing photos, the one of the spider lily in mid-bloom is fantastic! I enjoyed seeing your photos today…a beautiful variety of plants!